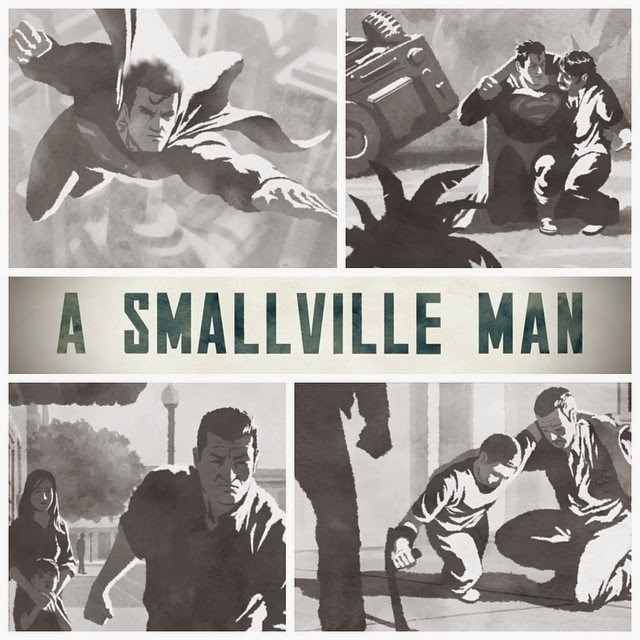 I simply cannot believe that my Superman film "A Smallville Man" has garnered more views in just two weeks than my previous Batman film has in over a year and a half! Wow! I must admit that even though I am a die hard fan of the Man of Steel, I wholeheartedly believed that this film wasn't going to be received as well since Superman's appeal tends to face more of an uphill battle than Batman's does. It's been my experience that everyone loves Batman, and if they don't it's probably because they aren't a fan of comic book characters to begin with but at least they usually hold nothing against him. Superman on the other hand though - forget about it! Big blue definitely has his fair share of fans, but I've never encountered nearly as many in my personal life as I have for the Dark Knight. And conversely of those who are not his fans, I've encountered a significant number who actively dislike him whereas I've never encountered a single comic fan who wholeheartedly dislikes Bats. Different opinions aside, this saddens me because I tend to discover that the majority of the hatred toward Superman results from a poor understanding of his character and/or the stories centered around him. Arguments relating to his over abundance of powers or his clean-cut boy scout personality are typically cited as to why most find him "boring", and while some people may genuinely be turned off by stories of that nature, I usually find that most people just jump to that argument out of instinct. So you can see why I was so surprised to see my Superman film "beating out" my Batman one so soon. Of course I don't view them as competing with each other, but it is nice to see Supes get a warm reception by fans like me. Thanks for reading! Thank you for taking the time to do another great Film!